A small percentage of abandoned oil and gas wells in Pennsylvania produces the vast majority of the state’s methane emissions, according to scientists. The work in Pennsylvania, which has the longest history of oil and gas development in the United States, could help scientists learn how to identify and fix high-emitting wells nationwide. The findings, published in Proceedings of the National Academy of Sciences, are from the largest study of high methane-emitting abandoned oil and gas wells in the state, which has oil and gas infrastructure dating back to 1859. Methane is a potent greenhouse gas that is about 30 times more effective at trapping solar heat over a 100-year period compared to carbon dioxide. Previous research conducted at Princeton University by Mary Kang, a postdoctoral associate in Jackson’s lab and the first author of the new study, determined that abandoned wells in Pennsylvania contribute a significant amount of methane to the atmosphere and should be factored into state and national greenhouse-gas emissions inventories. However, the sheer number of abandoned wells, combined with poor documentation and record-keeping, made it difficult to even know how many wells existed, much less develop reasonable strategies for mitigation. Kang, Jackson, and colleagues combined new field measurements from 88 wells in Pennsylvania with information gathered from old books, published literature, historical state documents, and modern databases to paint a more accurate picture of both the number of abandoned wells and the traits of highest emitters. 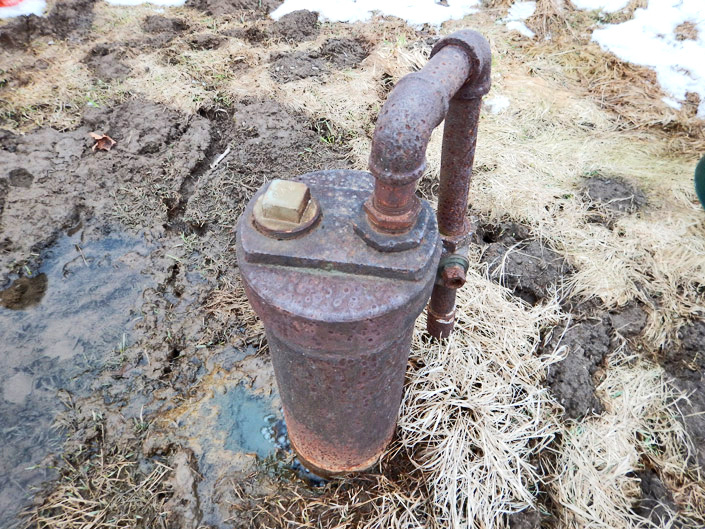 One of the study’s main findings is that there are likely many more abandoned wells in Pennsylvania than previously thought—475,000 to 700,000 in total, up from previous estimates of 300,000 to 500,000. “Many of these enhanced recovery wells date as far back as the 19th century and were never documented, but have now been rediscovered,” Kang says. The researchers calculated that the combined emissions output of all of the abandoned wells in Pennsylvania added up to an estimated 50,000 tonnes of methane per year—equal to about 5 to 8 percent of Pennsylvania’s annual greenhouse gas emissions. “It’s not the dominant source of methane in Pennsylvania, but these wells keep emitting for years, even decades,” says Jackson, who is also a senior fellow at both the Stanford Woods Institute for the Environment and the Precourt Institute for Energy. Of the abandoned wells that were examined, a few seemed to be emitting methane at especially high rates—a finding consistent with another recent Stanford study which showed that a small number of wells are responsible for the bulk of the country’s methane emissions. The worst culprits in Pennsylvania appear to be a subset of natural gas wells that have been left open and unplugged, and also plugged gas wells that run through coal mines and require vents to release pressure. “You could seal the vast majority of emissions just by addressing 5 to 10 percent of the wells,” says Jackson, who is affiliated with Stanford’s campus-wide Natural Gas Initiative (NGI), which is devoted to addressing questions and funding projects related to the tremendous growth in natural gas production in the past decade. The researchers also found that methane emissions from the “super emitter” wells often had a unique chemical makeup: They tended to contain larger amounts of noble gases, including a certain isotope of helium, as well as higher concentrations of thermogenic gases, which are produced deep in the ground at high temperatures and pressures, rather than biogenic gases produced by microorganisms. “This information is useful for determining methane sources and leakage pathways, which can help us figure out ways to best stop the leaks,” Kang says. For example, she pointed out that the chemical signature of a well’s emissions could indicate that only specific portions of the well require repair rather than plugging the entire length of the well, which is expensive. The new findings highlight a need to develop more effective mitigation strategies at the wells themselves to address the most problematic sections of damaged wells, the authors say. “In a way that’s good news—if we can identify the super emitters quickly and cheaply, we can address most of the problems,” Jackson says. Other coauthors of the study are from Princeton, Lawrence Berkeley National Laboratory, and Ohio State University. Funding came from the National Oceanic and Atmospheric Administration and Vulcan Inc.